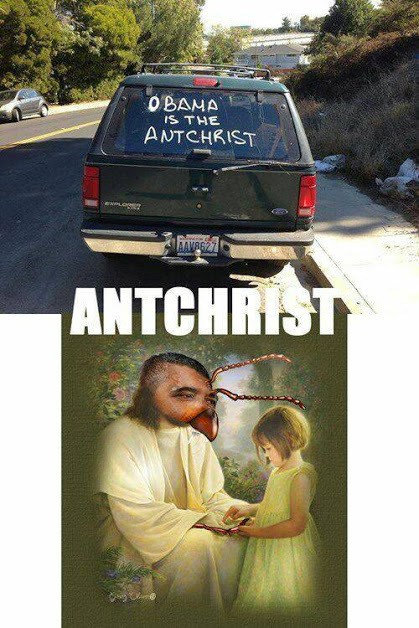 Obama Is The “Antchrist” We’all Of Course He Is And Isn’t He Special? Truth Comes In Larger Doses. Who Will Ever tell It Like This Again? When we consider presidential candidates; we should ignore who they say they are and pay attention to who they really are; as evidenced by their past record in the case of many politicians and their public statements. In the case of “Old Line Republican Families” like the Bushes; we need not and indeed should not give much credence to their public statements. Their past record? Mostly a fabrication maintained for the simple-minded who won’t bother to dig. And let’s face it. In the case of the Bush Family, the digging can be done with a stiff paper-clip. Scratch! Scratch! Let’s see what we found. Want A Safe Home? Put A Big, Black Man In It. 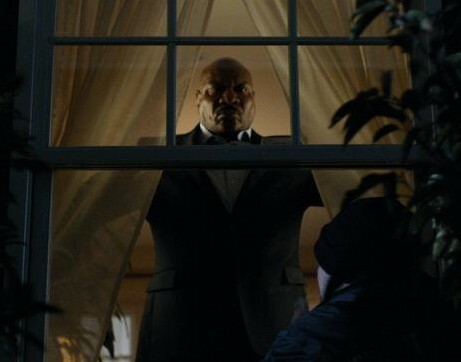 ADT; the security corporation with a long history in the home security business has begun a new ad campaign featuring Ving Rhames as the spokesperson and effectively as the symbol of safety in our homes. I; for one; am happy to see this particular development. I believe it is a positive sign when a big, burly, black man is placed in the position of representing home safety rather than the older stereotypical associations of large black men as a threat to our safety. It isn’t the end all and be all of racial healing. 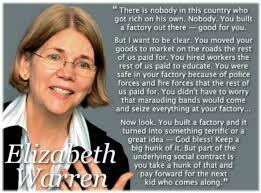 It isn’t going to get anyone a better chance at an education or decent job by itself. It is; I think; a sign. A sign that it has become; “Ok” to use a black man to be synonymous with white people being safe in their homes. Actually I am just a bit more excited about this than I let on. It’s a pretty big deal. It shows; better than anything I have seen yet that America’s attitudes are changing. That title and the inspiration for this article are from the article by Michelle Goldberg, The Nation; the link to which you may use to read that article first if you wish, though it is not a prerequisite. 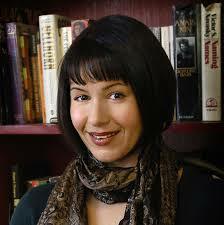 It is an excellent article and I recommend it highly. For those who choose not to leave the environs of your humble Angyman; the article rightly points out the predominance of “angry white men” on the list of American terrorists, mass murderers, and freaked-out, loony tunes, running the streets with assault rifles; killing members of various groups, races, religions, and cultures; for various reasons revealed, and not of late. Hell Yeah! Now Here Is A Candidate I Can Really Get Behind. Guess Who. If we have any sense. But then; that is always a debatable question; isn’t it? What we need is BOLD-PROGRESSIVE-POLICIES; NOW!! Happy Christmas. Or Do The Best You Can. I happily admit to thieving this from my friend at Eideard.com. This is the best new look at Santa that I have ever seen. Just when I thought I was sick of the phony old fool. A Veritable Cornucopia of Extreme Liberal Thoughts,Stories With a Point and Serious Ideas For Changes To Our Political System.